The Boys & Girls Clubs of Southeastern Michigan is tapping a Ford Motor Co. Fund executive to lead the organization as it seeks to freshen the relevance of its programs, step up collaborations and stabilize its finances. Shawn Wilson, who has led multicultural engagement for the carmaker’s philanthropic arm for the past four years, will join Boys & Girls Clubs as its new president and CEO on Nov. 26. He will succeed Mary O’Connor, national director of major metro services at Boys & Girls Clubs of America, who is on loan to the local affiliate, serving as interim CEO. O’Connor came on board earlier this year after an earlier interim CEO Brad Baumgardner, someone known as a change agent in the national club’s system, held the role for a short time. The new role presents an opportunity to work with stakeholders “to reimagine new ways in which the organization can become a driving force for youth and community building in Southeastern Michigan,” Wilson said in a release. Wilson, 44, brings years of experience in community and youth engagement to the new role. Among other responsibilities in his current role at Ford Motor Co. Fund, he has served as strategic lead for the Ford Resource and Engagement Centers, a $15 million place-based strategy to drive economic mobility for residents in Detroit neighborhoods. Under his direction, the two Ford Resource and Engagement Centers on the city’s southwest and east sides distributed 2.5 million pounds of food over the past five years, served 30,000 youth and families annually, provided $15 million in tax returns to families and delivered workforce and entrepreneurship training to 8,000 individuals. More recently, Wilson also served on the leadership team tasked with the initial rollout of Ford’s $740 million Corktown campus project. As the community engagement lead for the project, Wilson oversaw efforts to bring community voices into planning for the new campus. Prior to Ford, Wilson served as president and CEO of Usher’s New Look in the Atlanta, Ga., area from 2004-2014. In that role he worked with the Grammy-award-winning artist to develop the organizational strategy and program model for the organization. During his tenure, the nonprofit certified over 21,000 youth as global leaders and delivered 300,000 hours of curriculum-based training in five states and seven global communities including Nairobi, London and Shanghai, according to Wilson’s LinkedIn profile. In that role, he also led development of “Music Leadership 101,” a social enterprise and blended-learning K-12 curriculum adopted in Georgia, Ohio, North Carolina and Florida. 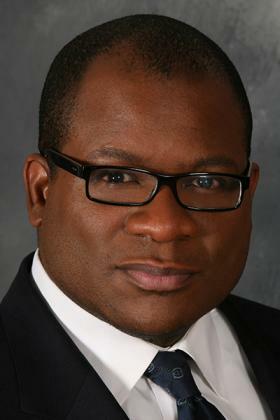 For the 11 years prior, Wilson was founder, president and CEO of social entrepreneur consultancy SWI Consulting Inc. and Athletes Helping Youth Inc., an Atlanta organization that worked to align high net worth individuals, corporations, foundations and celebrities with community causes and issues including youth obesity, education and gun violence. He also served as senior program director for the YMCA of Metropolitan Milwaukee from 1991-1998. Boys & Girls Clubs Chairman Hiram Jackson, publisher of the Michigan Chronicle, said he’s known Wilson since his days of working for Usher’s New Look. His hire is “a game changer for us,” Jackson said in a release. His “transformative thinking and innovative ideas will not only propel the Boys & Girls Clubs of Southeastern Michigan to new heights, but also redefine how youth services are delivered to children and families throughout the region,” he said. Wilson’s appointment at Boys & Girls Clubs comes following a nine-month search launched as the nonprofit seeks to turn around years of financial losses, declines in club memberships and a workplace culture that led to high employee turnover. Since the beginning of the year, the nonprofit has closed three of its 10 sites, shuttering locations in Shelby Township, Ypsilanti and Detroit as part of a newly adopted strategy to collaborate with other organizations and share space to deliver its programs for youth ages 6-18. Today, it serves over 15,000 youth annually. The nonprofit is also taking a new look at its programs, lifting up workforce development lessons it’s long taught kids, beginning at age 13. Those include things like how to dress, show up to work on time and provide good customer service, things that have been embedded in the club’s programs traditionally but have never been labeled as “workforce development,” Jackson said in August.